When news broke that nearly 200 animals were rescued last week from a nightmare backyard butcher, it was hard to actually imagine the staggering number of suffering and neglected animals. But looking at one family can put some faces to such a shocking number. Among the sick and starving animals was a small family, decimated by sickness and cruelty, trying to survive. 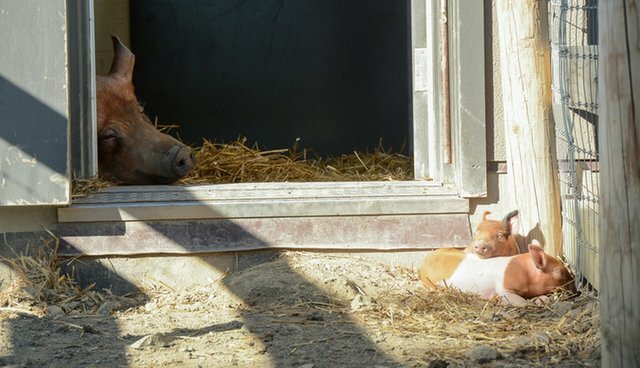 Of the many pigs who were liberated that day and divided among four sanctuaries, each with their own individual stories, this family wound up at Farm Sanctuary in upstate New York. 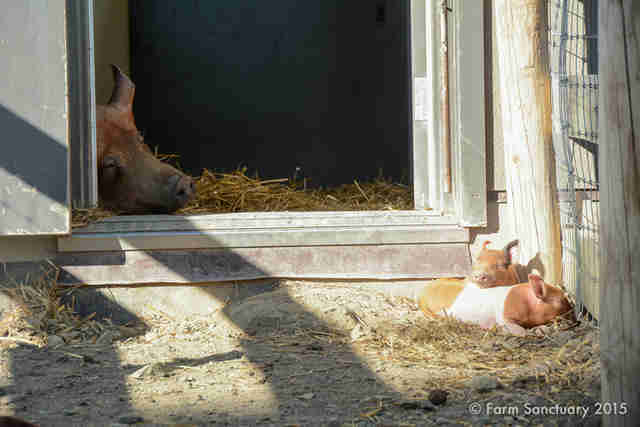 Pulled from the brink of death, the mother pig won't let two of her remaining babies out of her sight - the others are thought to have perished from illness. "The mother pig is so incredibly sad. 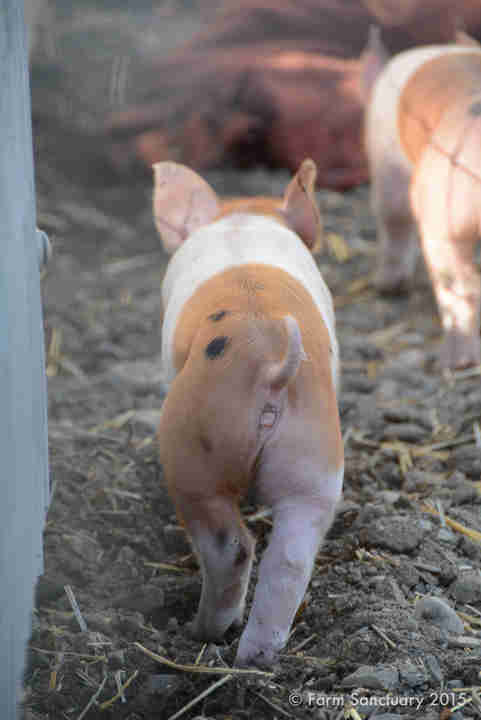 She is extremely frightened of us and VERY protective of her piglets," Susie Coston, national shelter director for Farm Sanctuary, told The Dodo. And the mother has reason to be protective: After the hell the animals went through at the backyard butcher, in barns so full of filth and ammonia it stung the eyes of their rescuers, both babies are very sick. 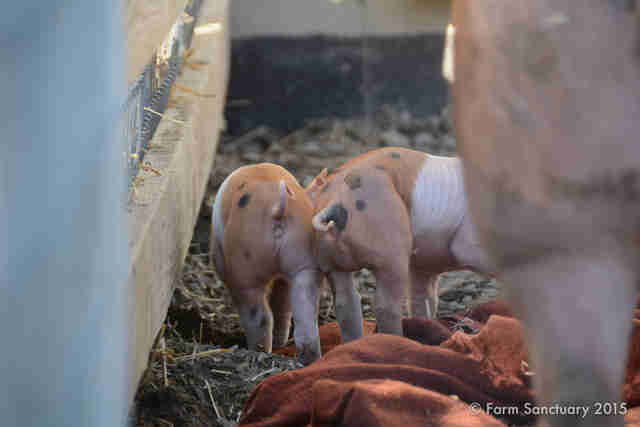 "Both have pneumonia and both arrived with super high temperatures, very shaky. They could not walk to the trailer and had to be carried, which upset mom," Coston said. This family of three went from a pen where "there were wet feces and mud up to your ankles ... the barn smell was unreal. The ammonia burned your eyes," Coston said. Rescuers couldn't enter the barn without wearing masks or covering their faces with their shirts, "and this is where they lived 24 hours a day." Pigs are amazing mothers, according to Coston. They build elaborate nests for their babies, communicate with them constantly and protect them fiercely. "The number one reason why [slaughterhouses often] keep them in crates has to be because they would die to protect their babies," Coston said. But things are finally turning around for this family. Mom is starting to eat regularly and the babies are receiving antibiotics for their sickness. 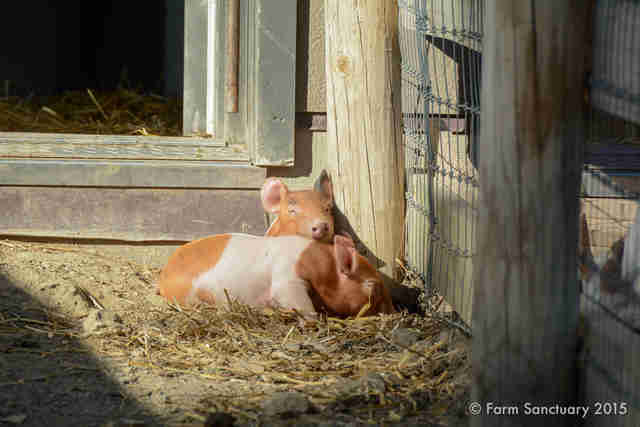 In their nice clean barn at Farm Sanctuary, they're even able to nurse in peace. "My favorite thing to hear now every day is the very loud 'ak ak ak' sound of the babies wanting milk - and mom lays down and lets them nurse," Coston said. "We are taking things slow with mom and we hope she will eventually trust us." Help support the new residents at Farm Sanctuary here.